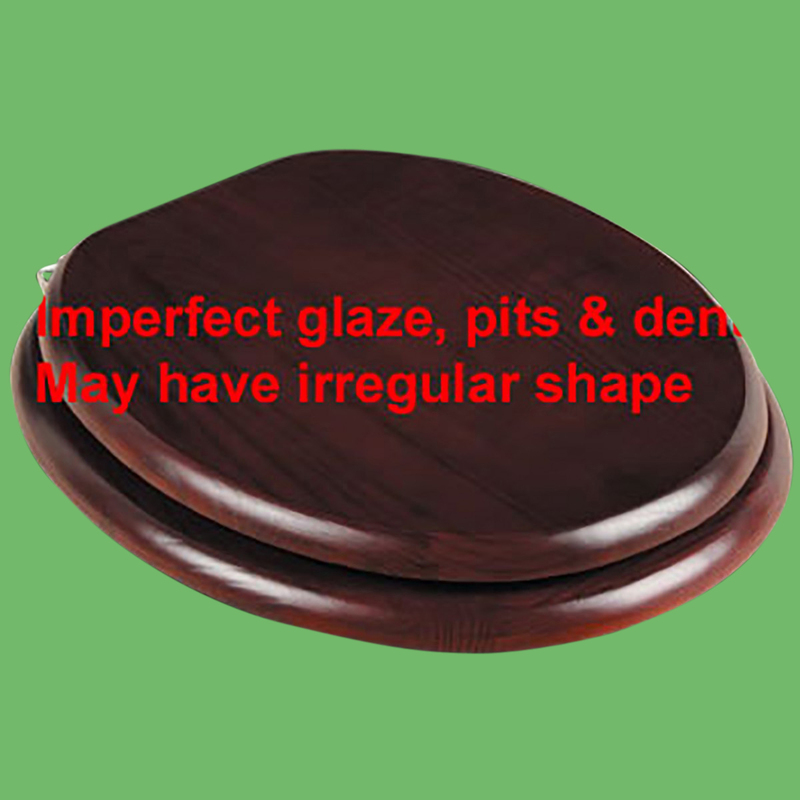 Hardwood toilet seat: IMPERFECT GLAZE WITH PITS AND SCRATCHES. 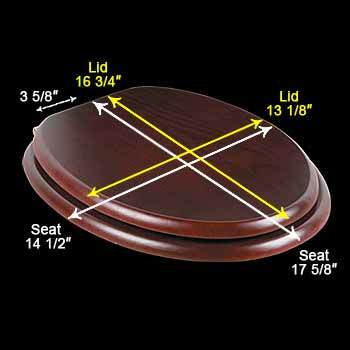 Made of solid hardwood this seat is designed for maximum strength & durability & easily outlasts all other wooden seats. 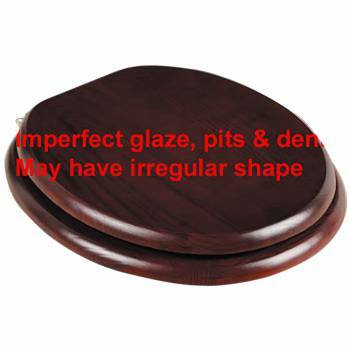 Fits over standard size toilet bowls & comes in a variety of finishes. Cross-frame design prevents splitting at stress points unlike most ordinary toilet seats. Made of sturdy polymer, the bumpers prevent rocking & keep the seat safely in place. Solid brass swivel hinges are easily adjustable 3 5/8 in. to 7 1/2 in. & easier to clean. Chrome-plating protects brass from tarnishing for years to come. Seat measures: 17 5/8 in. x 14 1/2 in. Lid measures: 16 3/4 in. x 13 1/8 in. Elongated shape. Red Cherry Tint Finish.